Pattern condition: Uncut, factory folded and complete with instructions. The pattern is printed on white bond paper with colored cutting lines. 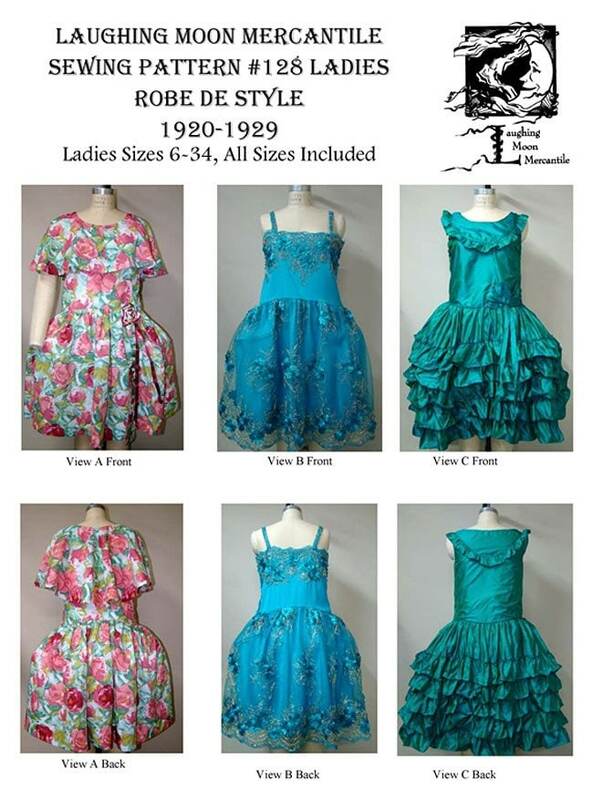 This dress has a dropped waist, built-in and separate hoop structure, sleeveless bodice, bust gathers and a camisole lining. 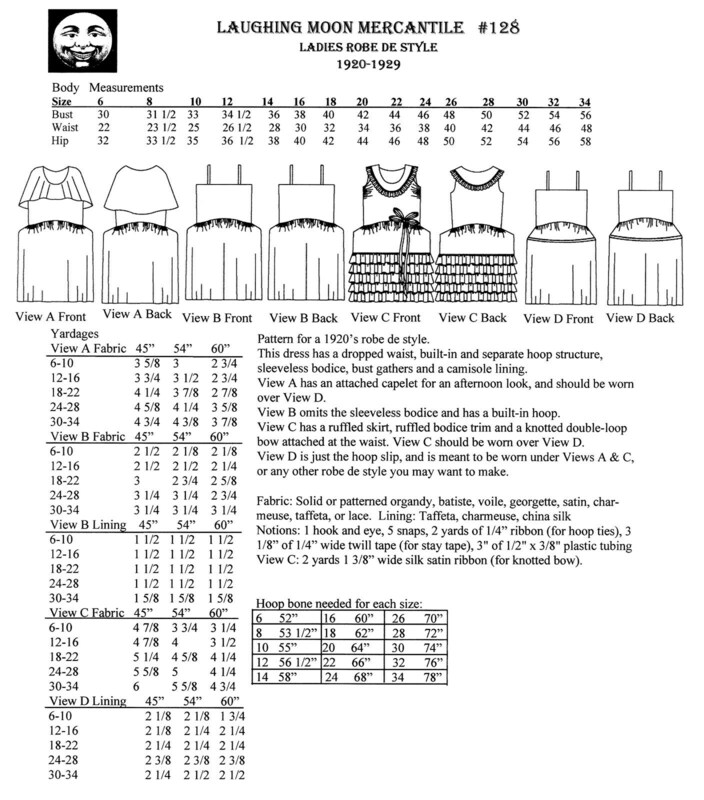 View A has an attached capelet for an afternoon look, and should be worn over View D.
View B omits the sleeveless bodice and has a built-in hoop. View C has a ruffled skirt, ruffled bodice trim and a knotted double-loop bow attached at the waist. View C should be worn over View D.
View D is just the hoop slip, and is meant to be worn under Views A and C, or any other robe de style you may want to make.